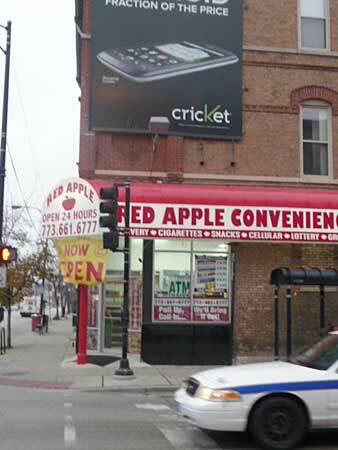 The East Village Association board filed written objections Monday to a liquor license request for Red Apple Convenience, 2000 W. Damen Ave. Discussion with the owners failed to allay community concerns on crime, traffic and other concerns. Owner Move N Pick Convenience had rebuffed a proposal to put its application on hold while trying to resolve community concerns. EVA in the past has been cautious in consenting to liquor licenses, which are rarely revoked. Before the Chicago Avenue store opened in November, president Irar Sweiss indicated the store would open with or without a liquor license. The same family owns the Citgo gas station at 1949 W. Augusta Blvd. Board members had concerns about liquor sales because of persistent crime and vagrancy linked to Chicago Avenue liquor stores. It was unclear whether an East Village liquor moratorium or the proximity to Dominick's Finer Foods would allow package sales at Chicago and Damen. Red Apple applied for the license Feb. 15, and Sweiss asked Feb. 29 to discuss its business plan at EVA's meeting the following Monday. EVA's Neal McKnight provided questions to be answered beforehand, and some were addressed in a Red Apple presentation forwarded to board members about three hours before the meeting at Happy Village, 1059 N. Wolcott Ave. "Since opening Red Apple, the corner is now vibrant with light, cameras are visible inside and out, and the corner is sprawling with activity," the presentation said. 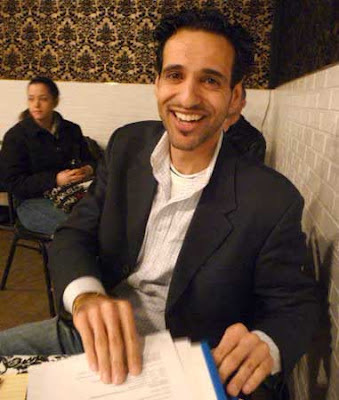 Partner Omar Sweiss (pictured) spoke to EVA members but could not respond immediately to requests to negotiate on hours and other issues. In a March 8 e-mail, Irar Sweiss said the license application would not be withdrawn. EVA directors meeting four days later agreed further movement was unlikely within the city's 40-day public comment period. EVA's objection letter follows. Applicant Legal Name: MOVE N PICK CONVENIENCE, INC. The East Village Association (EVA) was approached by Mr. Irar Sweiss, the owner of Move N Pick Convenience, Inc., which operates the Red Apple Convenience store located at 2000 W. Chicago Avenue, Chicago, Illinois 60622 seeking support for a liquor license at this location. Mr. Sweiss was asked to present to our general membership meeting on March 5, 2012. Prior to the meeting a series of questions were presented to Mr. Sweiss regarding the operation of Red Apple Convenience. Mr. Swiess answered a few of the questions and refused to respond to questions regarding entering into enforceable covenants and agreements with regard to the operation of the liquor license. On March 5, 2012 the East Village Association requested that Mr. Sweiss withdraw or suspend the application for a liquor license to give time to the community to negotiate an acceptable agreement to address community concerns. Again Mr. Sweiss refused. The Board of Directors of the East Village Association concluded that it could not support granting the proposed package goods liquor application filed on February 15, 2012 by Move N Pick Convenience store, Inc, located at 2000 W. Chicago Avenue, Chicago, Illinois. The applicants have not responded to community concerns requesting an acceptable business plan to control problems that arise out of liquor sales, including, among others, compliance with existing ordinances and statutes, loitering, vagrancy, sales to minors, property values, impact on surrounding residents and traffic control.